Tried Shading, not too good, but how do you think i did? I am not a perfectionist, I wish I was, because I missed some areas where color should be. So here is the Finished Product. 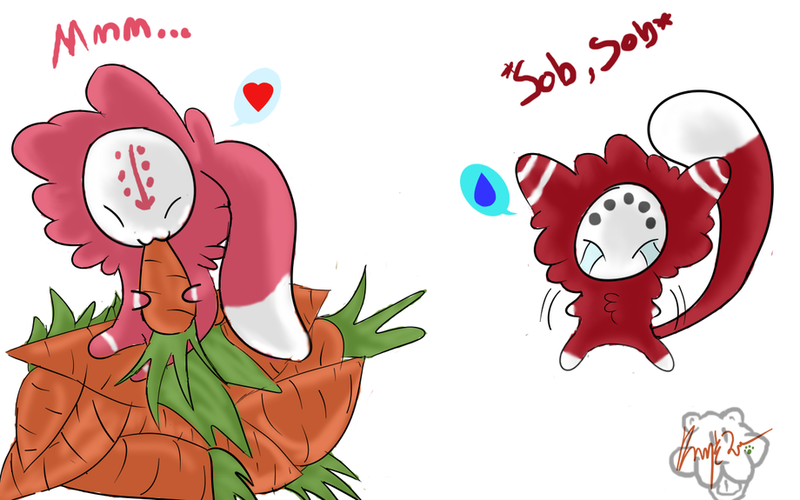 Bunny stole Lemmi's Carrots <3 Poor Lemmi. Bunny could have just given him a small carrot ~ But he decided to be a hog!